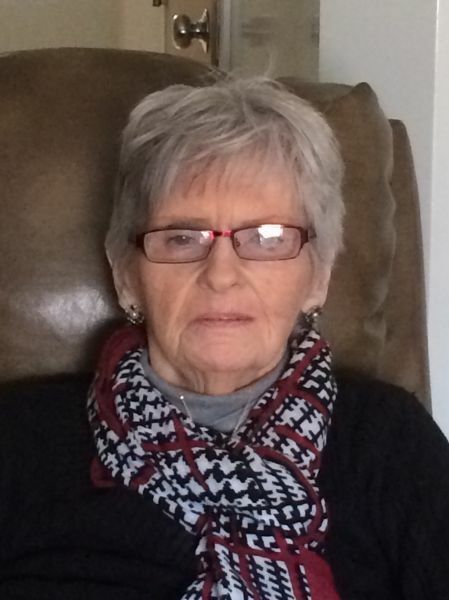 NEW SWEDEN – Norma Louise (Anderson) Landeen, 83, passed away January 22, 2019 at home surrounded by her loving family. She was born in New Sweden, December 9, 1935 the daughter of Gustaf and Louise Anderson. On August 3, 1955 she married Gary Landeen, they were blessed with 7 children. Norma devoted her life to their family, and was especially proud of how large it had become. She took special care of her home and garden. She particularly enjoyed decorating for holidays, which brought her and her family so much joy. Norma is survived by her husband of over 63 years, Gary, of New Sweden, two sons, Ricky and Scott Landeen both of New Sweden, five daughters and sons-in-law, Sharon and Ronnie Ouellette of Stockholm, Kathy and Paul Rossignol of Caribou, Tammy and Willy Doucette of Westmanland, Pamela Landeen and Brent Peterson of New Sweden, and Shelley and Jamie Clasby of East Taunton, MA, three brothers and sisters-in-law, Delbert and Helen Anderson, Carl and Lois Anderson, and Dale and Penny Anderson, her only (and very dear) sister and brother-in-law, Marlene and Pete Griffeth, all of New Sweden, 18 grandchildren – whom she loved dearly, Ron, Daniel, Norma Jo, Teresa, Jason, Nathan, Michelle, Jessica, Paul, Gary, Joshua, Ashley, Jordyn, Scotty, Kylee, Shane, Amber, and Kearsten, 20 great-grandchildren, and 2 great-great-grandchildren. She was predeceased by her parents, and a daughter-in-law, Staci Landeen. Memorial services will be held 1:00pm, Saturday, February 16, 2019 at the Gustaf Adolph Lutheran Church in New Sweden. Interment will be held in the spring.